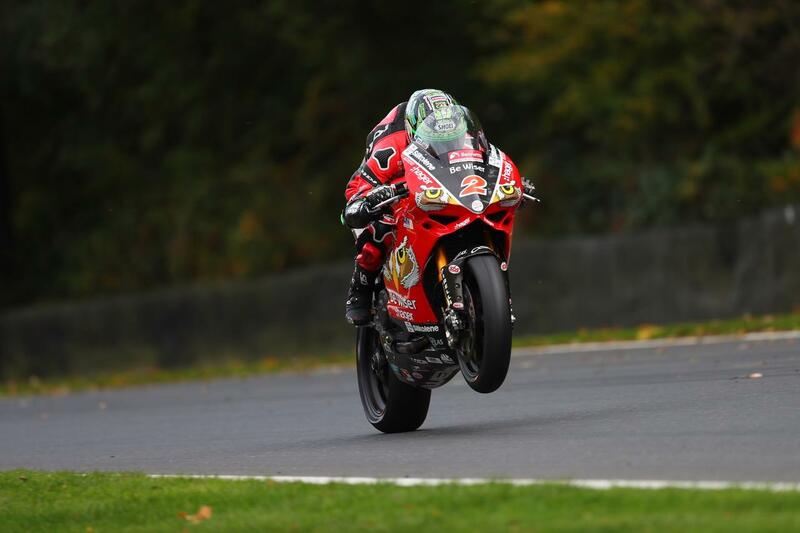 Glenn Irwin led the way as the final round of the 2018 Bennetts British Superbike championship got underway at Brands Hatch, pipping title contender Jake Dixon to the top spot by 0.004 seconds. Irwin missed most of the morning’s FP1 with front end issues before going on to top the afternoon session with a time of 1’25.233. Title contender Jake Dixon managed to get within 0.007 seconds of Irwin’s time despite riding without crew chief Glen Richards, who arrives at Brands Hatch tomorrow. McAMS Yamaha’s Josh Brookes was third quickest, just 0.096 seconds off Irwin’s time. Christian Iddon placed fourth for Tyco BMW ahead of the second BMW of showdown contender Peter Hickman, while series leader and champion elect Leon Haslam rounded out the opening day sixth. Richard Cooper led the way for Buildbase Suzuki in seventh place ahead of the OMG Suzuki of Gino Rea in eighth. Tarran Mackenzie, who led the way early in the session, dropped back to ninth after crashing out unhurt but unable to continue at Surtees. James Ellison completed the top ten. Returning from that horrific Assen crash, Dan Linfoot was 26th quickest and is unlikely to ride for the remainder of the weekend. Making his BSB debut with the Movuno Halsall Suzuki team, 2015 Moto3 World Champion Danny Kent was 24th quickest, 2.8 seconds off the pace.